Learn about the surprising academic prowess of these four notorious party schools. 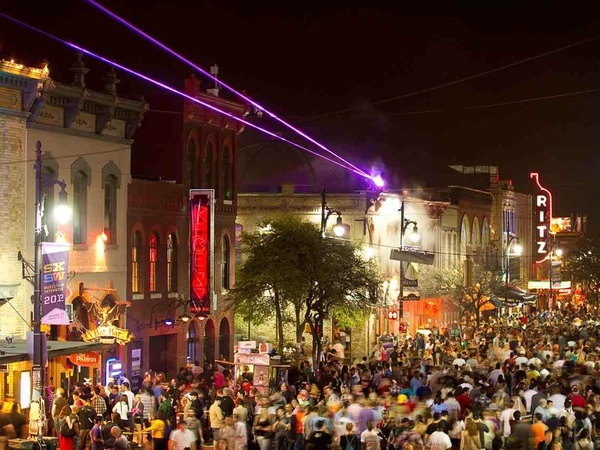 UT Austin's famed Sixth Street is the epicenter of the party scene. Just because a school is known for having a rowdy student body doesn’t mean its academic programs are lacking. In fact, some notorious party schools actually turn out highly successful graduates. These four schools, all featured on The Princeton Review’s list of the biggest party schools in the country, offer students much more substance than just stories from Saturday night. By offering students frivolous fun alongside strong academics, these four party schools prove that college kids really can have it all. There’s a reason the University of Texas at Austin made our list of colleges your mom doesn’t want you to attend: In addition to earning a spot on The Princeton Review’s list of biggest party schools, it also earned a spot on the publication’s list of schools where students drink the most beer and hard liquor and smoke the most pot. Don’t let those rankings fool you, though; students at UT Austin receive a top-notch education, as well. The school was named one of the best public colleges in the country by U.S. News and World Report, which also recognized it for having the eighth-best undergraduate business program in the U.S. The program, part of the reputable McCombs School of Business, ranks particularly high in the areas of accounting, marketing and management information systems. Students at Lehigh University are notorious for getting rowdy, but that doesn’t mean they don’t find success after graduating from college. In fact, Lehigh is known for offering its graduates a great return on their investment (or ROI), meaning that the money they earn after graduating greatly exceeds the amount they spent on their degrees. The school’s average 20-year ROI of $526,900 earned it a top spot on Payscale’s list of party schools that are worth the money, and U.S. News and World Report placed the school on its list of best value colleges. U.S. News and World Report also recognized Lehigh for having excellent undergraduate programs in business and engineering. 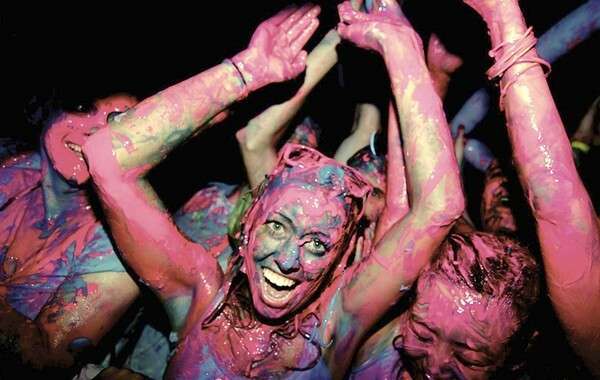 Students at Lehigh University are notorious for getting rowdy. Many people are under the impression that University of California, Santa Barbara, students do nothing but surf in the morning and party at night. While there is some truth to that stereotype (the school has its own surf beach and was named the second-biggest party school in the nation by The Princeton Review, after all), UCSB has a lot of substance to offer its students, as well. Payscale reported that UCSB graduates receive the 16th-best ROI in the country when compared to other state schools. This makes sense when you consider the school’s academic prowess -- it does boast some of the best computer science, chemistry, education, history and English programs in the state of California. Syracuse University may have a party school reputation, but the school is widely recognized for its excellent academic programs, as well. Syracuse earned spots on U.S. News and World Report’s lists of colleges with the best undergraduate engineering and business programs, and the school is especially known for breeding young entrepreneurs -- it boasts one of the country’s only academic departments devoted entirely to entrepreneurship. The impressive list of Syracuse alumni includes a wide range of CEOs, Pulitzer Prize winners and famous actors and actresses.